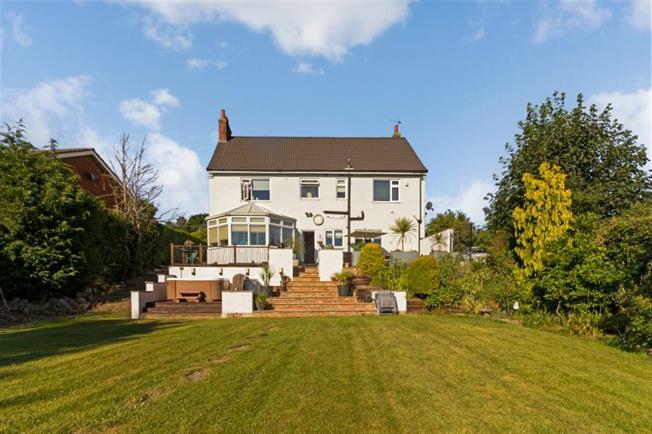 4 Bedroom Detached House For Sale in Sheffield for Guide Price £400,000. We are thrilled to bring to the market this outstanding Four bedroom detached property, immaculately presented throughout and occupying a larger than average plot with far reaching views to the rear and further outbuildings and Stables offering potential for conversion subject to planning consent. In brief the accommodation comprises; To the ground floor the Entrance Porch leads to the inner hallway accessing the Formal living room/ potential fifth bedroom, Separate Dining Room providing access to the uPVC Conservatory with far reaching views. Further accessed from the hallway is the superb open plan Family living/ Breakfast Kitchen with access to the laundry room and Cloakroom/W.C. There is a generous double cellar/Basement access from the Kitchen. To the first floor is a superb Master bedroom with en-suite shower room, three further generous Bedrooms and the family Bathroom. The property stands in beautifully maintained grounds with a block paved hard landscaped driveway offering parking for multiple vehicles with electric Gates. To the rear is a stunning landscaped garden with raised patio areas, Hot tub (available by negotiation) the rest of the garden is laid predominantly to lawn with stables and outbuildings offering superb potential. Access out to the rear to the open fields and bridleway.